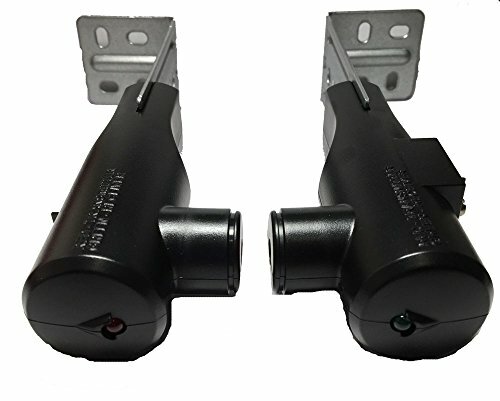 Save 1% on the Genie 37220R Garage Door Opener Safety Sensor Kit for Genie Genuine Original Equipment Manufacturer (OEM) Part by Genie at Defy Now. MPN: 37220R. Hurry! Limited time offer. Offer valid only while supplies last. Genuine Original Equipment Manufacturer (OEM) parts! This manufacturer-approved safety sensor kit (part number 37220R) is for garage door openers. Genuine Original Equipment Manufacturer (OEM) parts! This manufacturer-approved safety sensor kit (part number 37220R) is for garage door openers. Safety sensor kit 37220R monitors the garage door opening for obstacles. Unplug the garage door opener before installing this part. Wear work gloves to protect your hands.